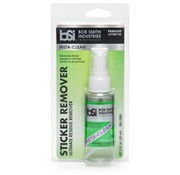 This is great for removing price stickers and their adhesive residue. Works on all surfaces, including: glass, cardboard, plastic, fiberglass and everything else. 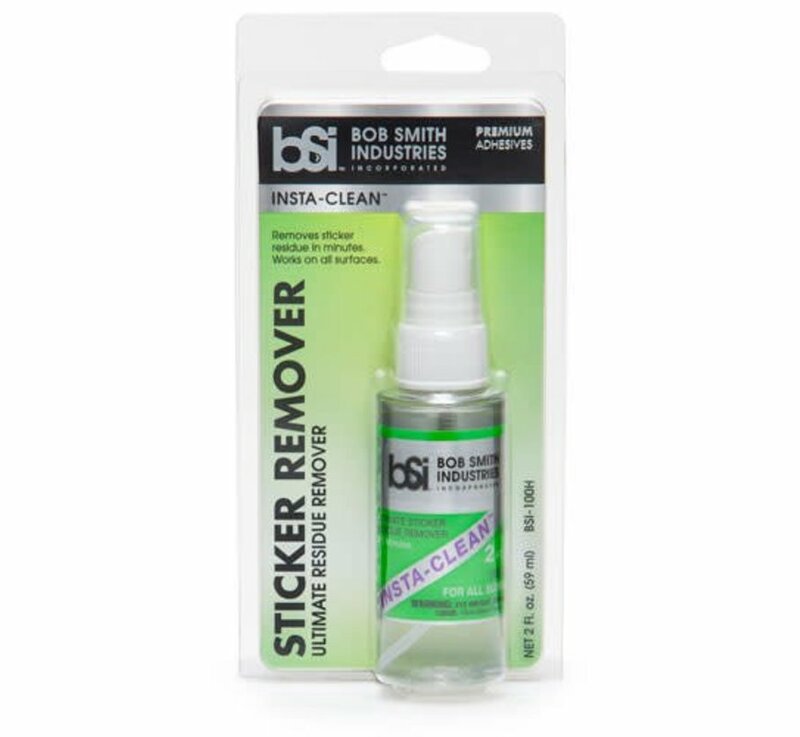 INSTA-CLEAN™ is ideal for removing price stickers and their adhesive residue. 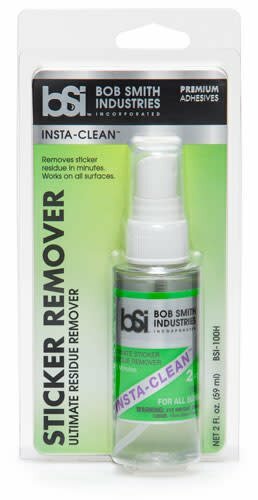 INSTA-CLEAN™ will also remove scuff marks that regular household cleaners won't touch. 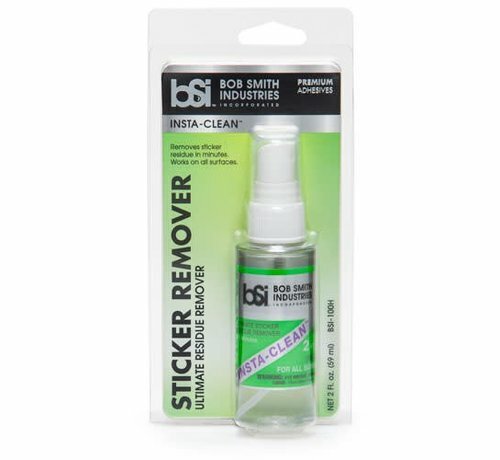 Spray directly onto the sticker to be removed. Let stand for 1 to 5 minutes and then peel off sticker and wipe clean.